allround geek: Onlive: Revolution or technological long shot? 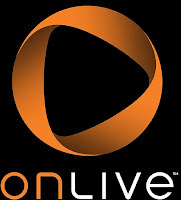 Onlive: Revolution or technological long shot? When I saw Onlive my jaw dropped on the floor. I was like "wow...this is the future, thin clients, cloud computing, where is my ono sendai terminal already?". Onlive is a new way of gaming and distribution of video games. The user does not need to have a high end pc or console to play games. All the demanding processing is done from Onlive's servers and the output is delivered to the player via his computer or tv screen. The game inputs are instantly directed back to the Onlive server for the user's interaction with the game. It is like your computer is only a screen and your high end gaming pc/console is a bunch of servers on the Internet with no downloading involved. Is this possible you ask? Well, nobody knows, but the people in Onlive announced that they are going to deliver that by the end of 2009. They are starting the beta program this summer and they are already signing people up for that. When I showed it to a friend he suggested that even if it works you would need "a HUGE PIPE for the Internet" in order to be able to play properly. However, Onlive has announced that for standard definition this would work with a 1.5 MBit connection and for HD video this will require 4-5 Mbits. They are suggesting that it is achieved by some ultra super video encoding that enables them to transmit real time 720p video to your screen. The service will be available for both Windows PCs and Macs through a browser plugin. They have also announced the existence of a console that you can connect to your tv set in case you do not own a computer or you want to play from your couch. 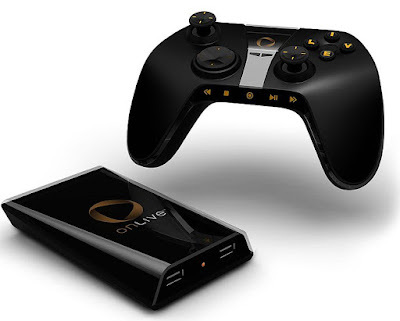 The Onlive Microconsole will support up to 4 controllers bluetooth headset and of course Keyboard and Mouse. They have already announced sixteen titles including Bioshock, Prince of Persia and Mirror's Edge. They state that they games will be simultaneusly released on onlive with the retail shops. Electronic Arts, Take-Two, Ubisoft, Epic Games, Atari, Codemasters, THQ, Warner Bros., 2D Boy and Eidos Interactive have already signed up with them to bring their games to the Onlive platform. The whole thing sounds very exciting but there are many doubts as to its feasibility. The beta is closing fast and by the end of this year we would know if this is a multi million dollar technological failure or a whole new way of distributing and playing games.